In the historic port of Galle, Amangalla sits within the ramparts of the 17th-century Galle Fort, a UNESCO World Heritage Site. 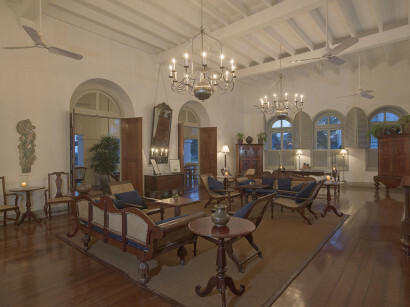 Named after the Sanskrit word for ‘peace’, and galla, the Sinhalese word for the town of Galle, the resort reveals the Fort’s daily activities and its rich legacy, the narrow streets lined with buildings from the Dutch and British colonial eras. Amangalla provides a tranquil and period styled base from which to explore the fascinating culture and tumultuous history of Galle Fort and Galle, the capital of the Southern Province. 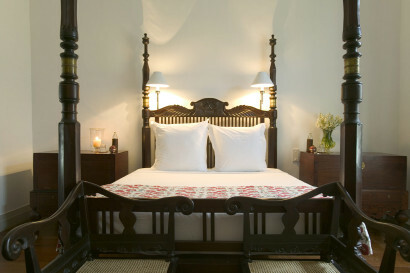 Galle is acclaimed for its Dutch Fort, intricate Galle lace, ebony, woodcarvings and polished gems. The Fort was established by the Portuguese in 1505 when a small foreign trading post was established. In 1640, the Dutch captured Galle, and by 1663 had constructed great ramparts and massive bastions to protect their interests. Within these ramparts, narrow streets are lined with houses displaying their Dutch and English heritage. 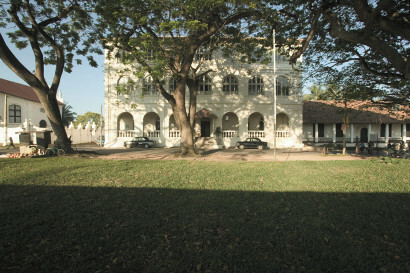 Flanked by pillared verandahs, these colonial homes and government offices remain in use today. Panoramic views of Galle and St. Mary’s Cathedral may be enjoyed from the three highest bastions of the fort named the Sun, Moon and Star. The best tour of all takes you away from Amangalla for the whole day, and immerses you in the world of Geoffrey Bawa. He was Sri Lanka’s most influential and prolific architect and South Asia’s leading guru of tropical architecture. 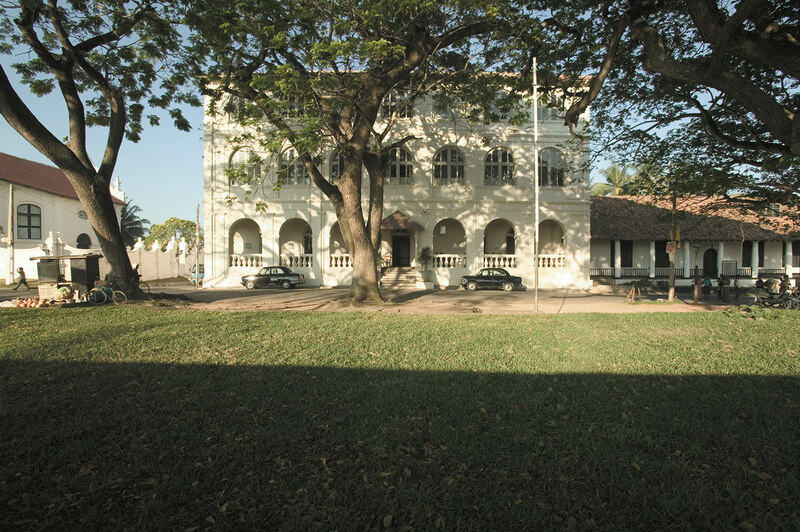 An hour drive to Bentota takes you to the heart of his buildings and his home. Visit hotels, private houses and have lunch at Lunaganga, his most striking achievement. Lunaganga was his own house and garden fashioned from an abandoned rubber estate. of the old workings of the factory follow, where they still use the original English machines. Finally, to the tasting room, to try a myriad of teas, including the unique ‘White Tea’ that only they produce in Sri Lanka. All of the experiences are great fun for children. Of the experiences that we offer, whale and dolphin watching, the aerial tour of Galle Fort, the turtle hatchery, Handunugoda Tea Plantation all push the right buttons. Nine bedrooms are located adjacent to Amangalla’s reception, on the ground level of the Middle Street Wing. 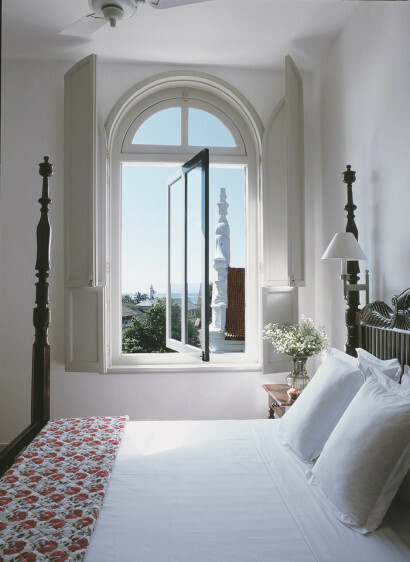 Views are either overlooking the garden or the nearby historic Groote Kerk (Great Church). 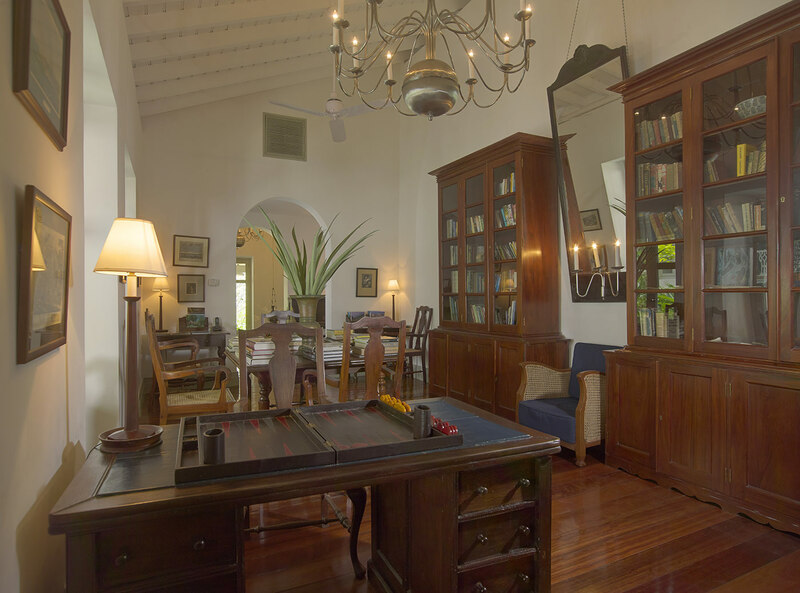 The bedroom and separate bathroom are similar in size with furnishings including a twin or king-size four-poster bed, writing desk, dining table, pettagama chest – all set within the original polished jack-wood floors. Ten chambers are located within the Church Street Wing and face the Fort ramparts. The entrance leads into the open plan room, featuring first the bathroom, followed by the bedroom and a separate sitting area. 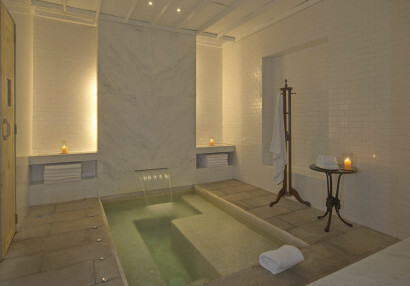 The bathroom has a large shower, free-standing bathtub, and toilet. There are four Garden Wing Chambers, three with balconies and one with a twin porch – all over-looking the treetops of the resort garden. There are seven suites, of which six are located in the Church Street Wing and one in the Middle Street Wing. 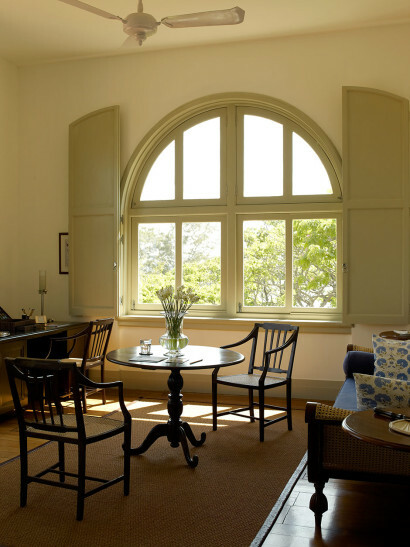 The Suites look onto Para-rubber trees, the ramparts of the Fort and the harbour, or the mature well-tended tropical gardens. 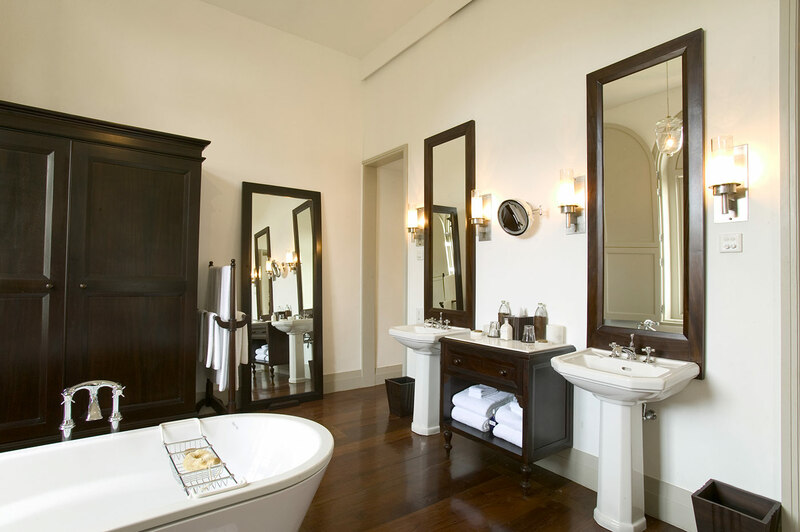 The spacious Suites feature the original polished teak floorboards dating back over 300 years. The entry hall leads to separate bedroom and lounge area. Adjacent to the entry hall is the bathroom with a free-standing bathtub, twin vanities, separate toilet and shower. Situated within the resort gardens, this two-storey house features a private terrace and balcony offering leafy, treetop views. The original, antique furniture of the house has been restored. At the entrance is a sitting room fitted with a chaise longue, armchairs and coffee table. Double doors lead to the bedroom, furnished with a king-size four-poster bed, writing table and dressing cabinet. An internal stairway rises from the sitting room to the upper level, featuring a daybed and banquette. The Amangalla Suite is ideal for families as it offers two separate bedrooms, both with ensuite bathrooms and lounging areas, and a living room. The suite is accessed via a small atrium, which opens onto the first bedroom and the living room, through which the master bedroom is reached. Situated above the resort’s spa, the suite features large shuttered windows which overlook peaceful Middle Street from the first bedroom, and the resort’s peaceful gardens from the master bedroom. 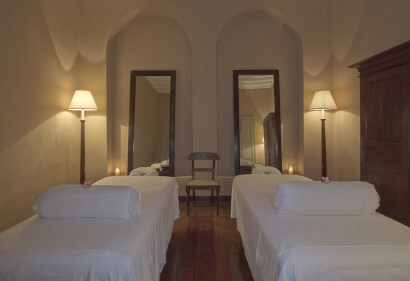 Exactly the same size, both bedrooms are furnished with elegant four-poster beds, planters’ chairs, pettagama chests, chaises longues and writing desks. The Zaal – the Great Hall – as it was known in Dutch times, is the entry point to the resort and has a wonderful colonial feel with high ceilings, overhead fans and chandeliers. There is relaxed seating within as well as on the veranda facing the tree- lined street. The menu provides light meals and snacks in the morning and afternoon tea is served daily. The Dining Room serves breakfast, lunch and dinner and provides a choice of traditional Sri Lankan curry and home-cooked dishes. The Baths (our name for the Spa) recapture memories of a bygone era of ‘taking the waters’, restoring the body and soothing the mind. The five softly lit treatment chambers lead off a descending arched hallway. 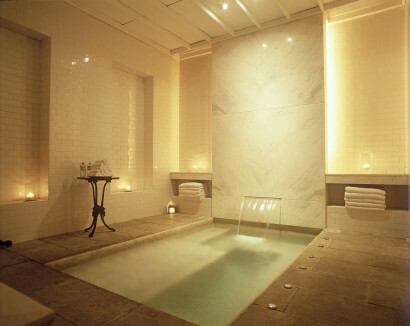 Gentlemen’s and Ladies’ dressing rooms lead to a hall containing a sauna, steam room and hydrotherapy pools whose specifically placed jet massage and stimulate the entire body. With candlelit recesses, tall ceilings and traditional archways, the hydrotherapy area is an experience in ancient indulgences. The Swimming Pool is centred within the resort’s gardens and measures 21m by 10.5m. 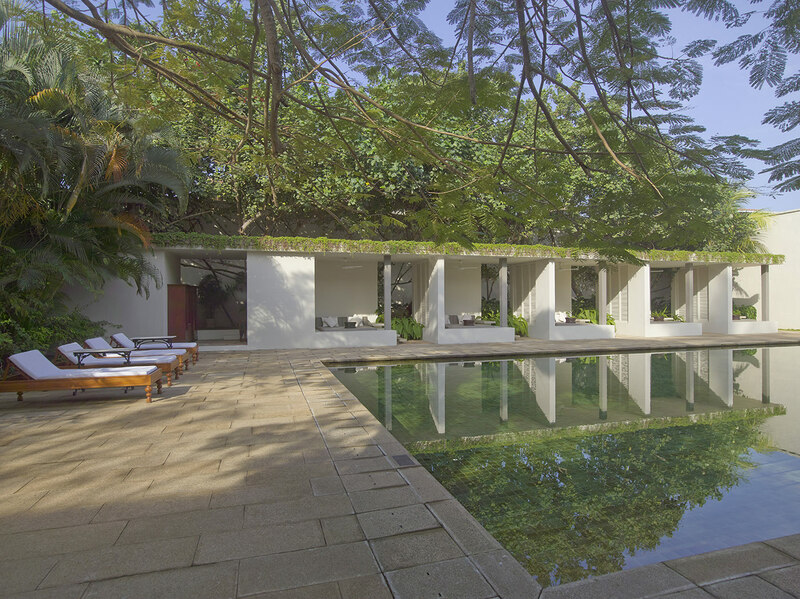 Bordering the pool, the Pool Courtyard contains five shaded ambalamas (rest pavilions) on one side and a number of sun loungers shaded by palm trees. Poolside service is provided and a variety of light meals and snacks are available. Below mentioned are some of the celebrations taking place in Sri Lanka. We do celebrate these at the resort where guests are more than welcome to participate in event such as Sinhala and Tamil New Year. 13th is the day prior to the New Year and 14th is the New Year. Generally known as Aluth Avurudda in Sri Lanka, is the new year of the Sinhalese/Tamil people in Sri Lanka. It is a major anniversary celebrated by not only the Sinhalese people but by most Sri Lankans. Also known as Buddha Purnima and Buddha Day, is a holiday observed traditionally by Buddhists on different days in Nepal, Sri Lanka, Tibet, Bangladesh, Bhutan, India, and the South East Asian countries of Philippines, Singapore, Vietnam, Thailand, Cambodia, Laos, Malaysia, Myanmar and Indonesia, and other places all over the world.